There is no question that pets become part of our family. You may have gotten your dog as a puppy and the two of you have grown up together. Your cat may be an extension of you, something you can’t imagine not snuggling up to at night after a long day. However, what if it’s time to go to a university like California College San Diego? With more and more colleges offering pet-friendly dorms and apartments, you may be considering taking your fur-baby with you to school. There are many benefits to having a dog or cat with you at school, but there are also some negative aspects. Below are some things you should know first. While at college, it will not be unusual for you to work without taking a break. The good thing about a pet, especially a dog, is that they force you to take a break when they need to go outside for a walk. Even a cat can force you to take a break by walking on your keyboard in the middle of your essay or lying across your textbook as you try to read. College can be stressful so it may be beneficial to have a pet that reminds you it is time to unwind for a bit. When you have a dog that needs to go out or a cat waiting to be fed, you tend to rush back to your dorm or apartment after class rather than hanging out at the local coffee shop or pub. This means that you spend less money on all those iced caramel Frappuccino’s or the latest craft beer on tap. You may find that coming home and just hanging out with your pet is more rewarding than spending money you should probably save. Your pet is the best support system, especially when things are not going well. A bad grade on an exam, a rough critique from a teacher or a project that just won’t come together seems less stressful when big puppy eyes are watching you from the floor or your cat is curled around your leg purring. When you are swamped with homework, they are your company and they love you unconditionally even when everything else seems to be going wrong. There is no doubt that having a pet at school is a huge responsibility. You alone are responsible for their food, water and exercise. Pets, especially dogs, need companionship and some need extensive exercise. You will not have your parents to rely on to take care of these things every day. If you are studying a subject that will require extensive time in a studio or at the library, you may want to reconsider taking the pet with you to college. One of the benefits of going away to college is meeting new friends and having new experiences. This could mean a sudden weekend road trip to the beach or traveling with your roommate to a cousin’s wedding in another town. If you have your pet with you, it will be much more difficult to just pick up and take off for the weekend. It may even be difficult to just spend the night with a friend since your pet will need to be fed and watered. Although cats can use a litterbox, it still must be cleaned regularly and dogs need to be taken out several times each day. Dogs and cats shed. They also tear things up and have accidents on the floor. This means increased cleaning in your dorm or apartment. Depending on the breed of dog or cat, you could have to vacuum every day. If the animals sleep with you, you could have to wash your bedsheets more often. You also must bathe your pets, which can be difficult in a dorm with nothing but a shower stall. At home, your parents probably paid for food, toys and vet care. If you take them to college, those bills will become your responsibility. Vet care is very expensive, especially if there is an emergency. Pets also need routine care, including heartworm preventative and vaccinations. You will need to include those costs in your budget. Despite the negatives of pet ownership, having a pet can help you remain healthy. If you have a dog, you’ll need to walk it regularly, which means you are also walking for exercise. Pets have also been shown to improve mental health in people, reducing stress and helping people relax during stressful times. 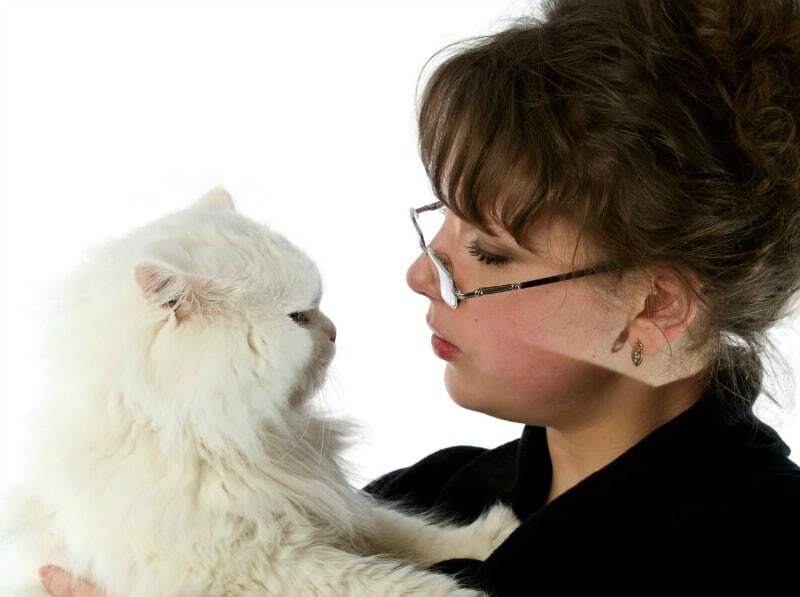 All of these are factors you must consider before taking your pet to college. You may find you have more friends as they will be attracted to your dog or cat. You will also never be bored as your pet is always ready to spend time with you. You must decide, however, if you can take the negative aspects of having your pet as well as the advantages of having them with you. I didn’t know they could take their pets with them these days. I think it depends on the specific pet and the specific person as to whether it is a good idea or not. I personally could never take my dog or cat to college. I’d feel like I’d have way too much going on to give them the attention they deserve.